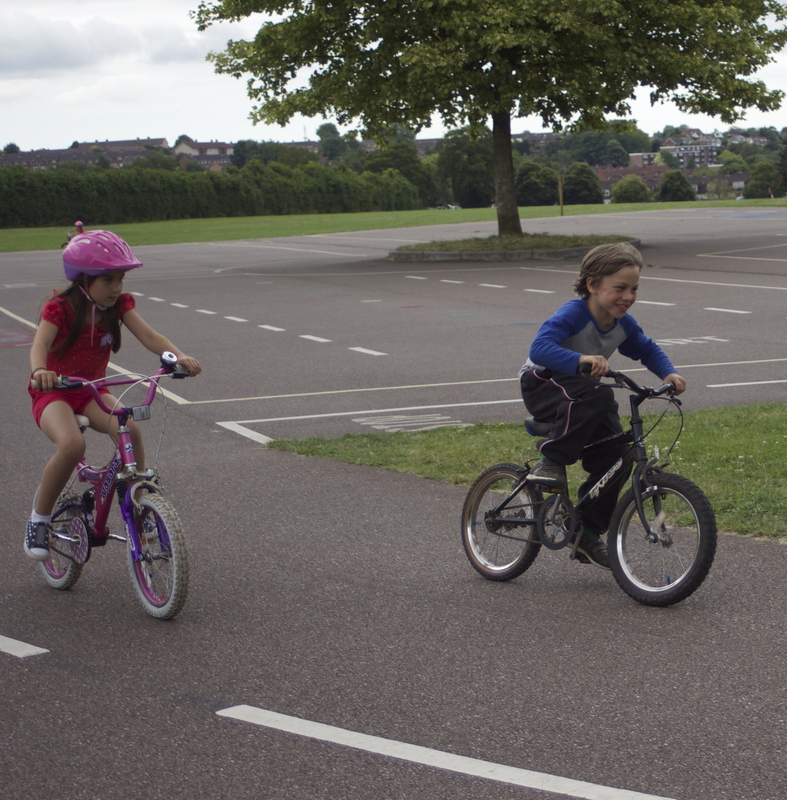 We are very fortunate that we have an excellent Bicycle Park for kids, safely tucked away at one end of one of our large local parks – so the venue was set! 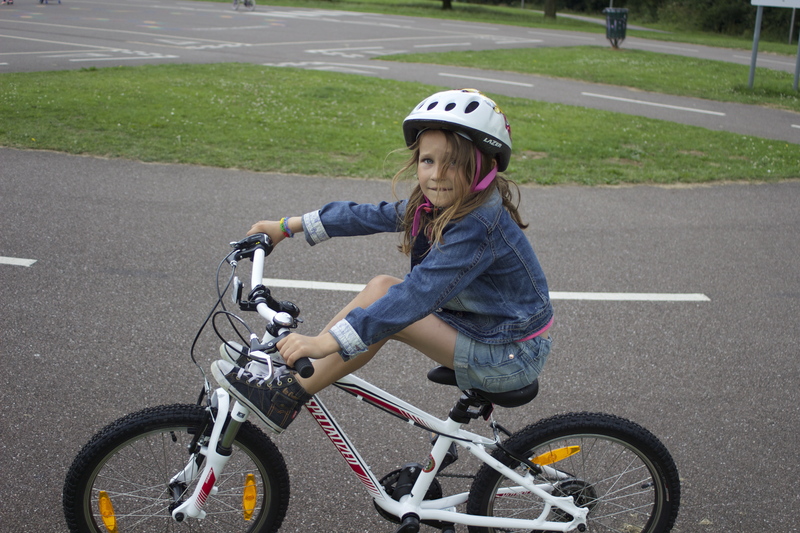 Mook designed her own invites asking her friends to bring their bike or scooter to her party, and, after handing them out at school, there seemed to be a real buzz about the idea. The logistics of taking party food down to the park looked just a little too challenging so we decided instead to get chips from the chip shop, just a few minutes walk from the park. 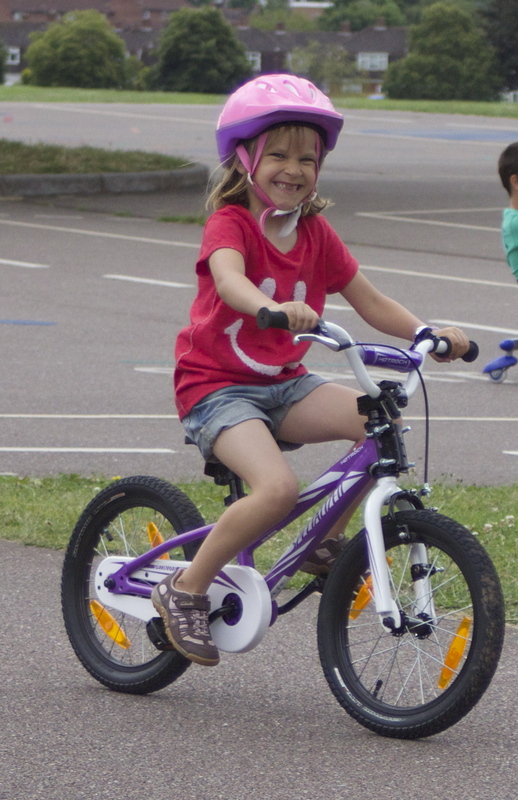 Though the weather at the end of the school year had promised a wonderful summer…. the weather on the day of the party looked decidedly unfavourable so we took a pop-up gazebo down to park, which not only would offer some shelter if the grey clouds turned nasty, but also made a great focal point for everyone. 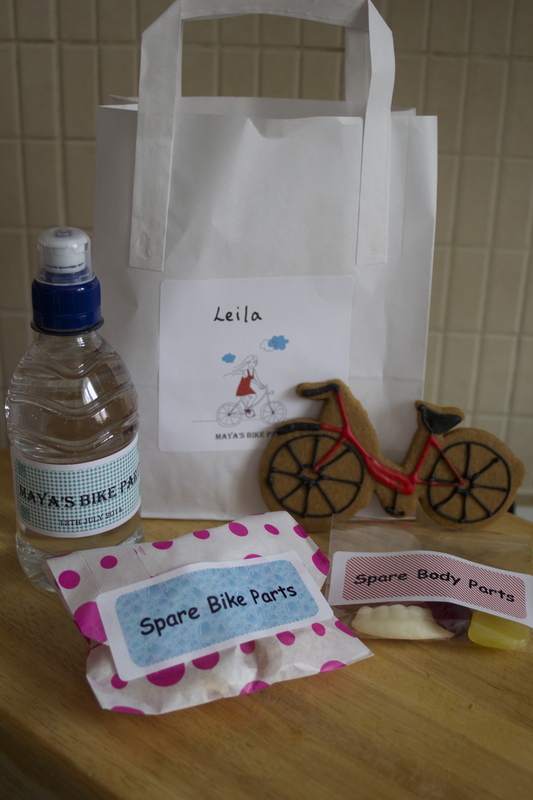 Not one to miss out on the chance to get creative, I turned my attention to the party bags. I used plain paper bags and designed individual stickers to go on the bags for each of the party guests. I also designed stickers to go on small bottles of water, and decorative paper bags and cellophane bags for the other birthday treats. 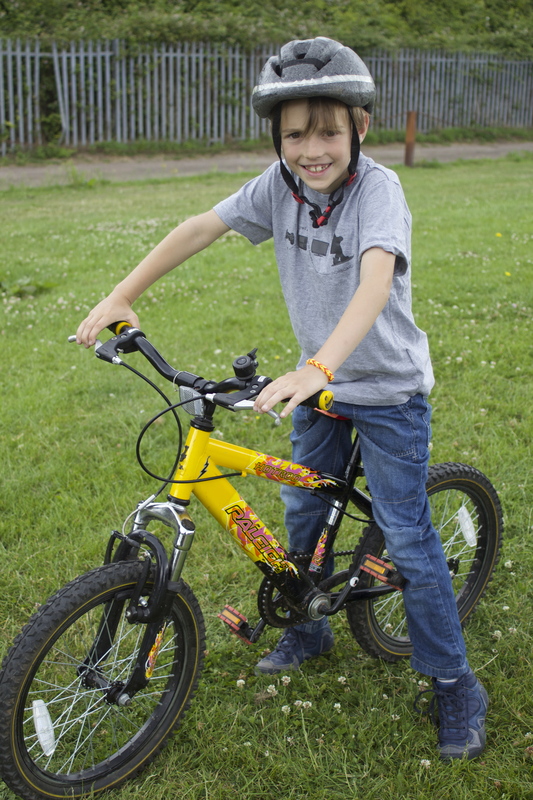 Scouring the supermarket shelves, I found some large packets of snack mix – these contained shaped snacks so they became ‘spare bike parts’. 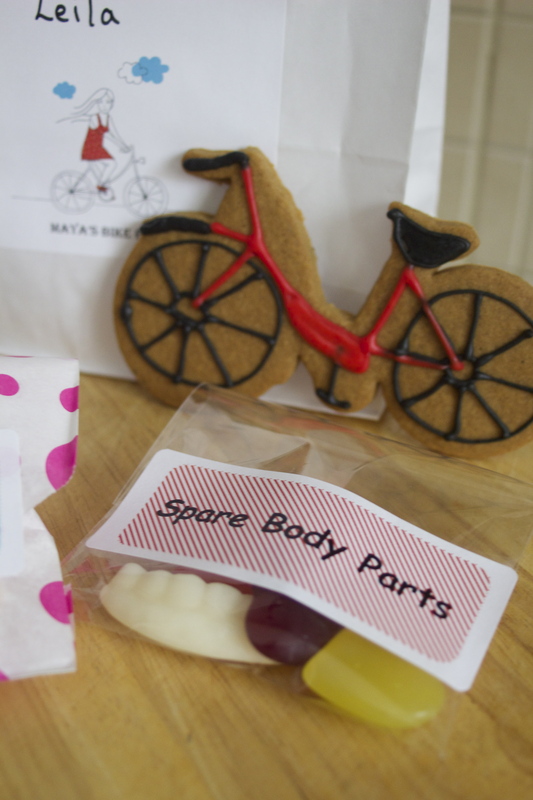 It was Mook’s 8th birthday, and anyone with kids of a similar age will know, they love anything a little gruesome, so a packet of body shaped sweets became ‘spare body parts’. 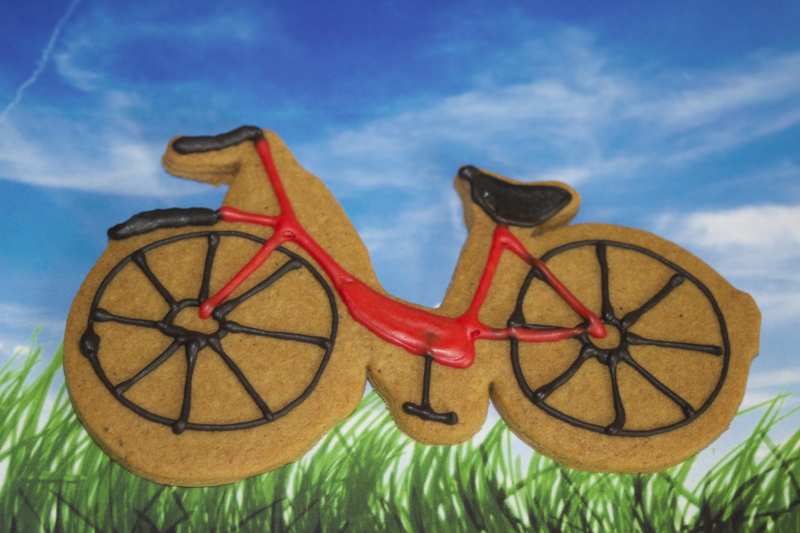 Each party guest also had a bicycle-shaped cookie – this was the second batch of cookies, after I had a cookie disaster when I accidentally baked the first batch, after icing them! 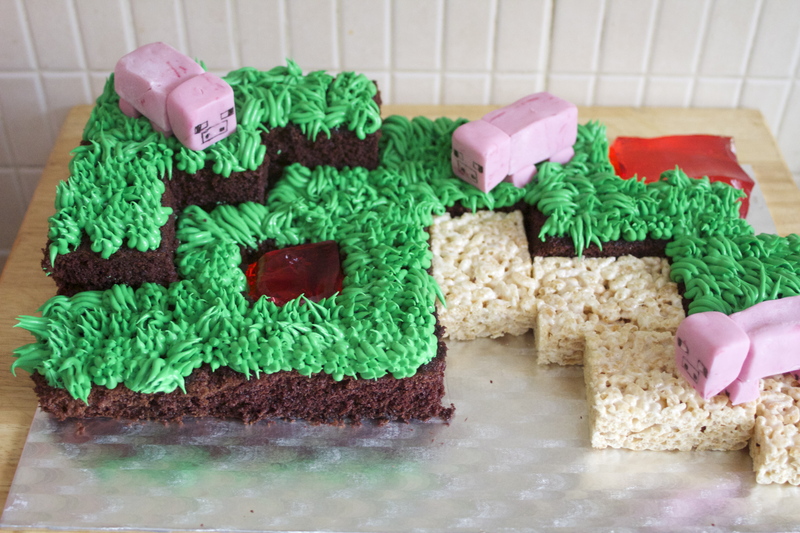 Mook is a huge Minecraft fan, so the birthday cake was, of course, Minecraft related. 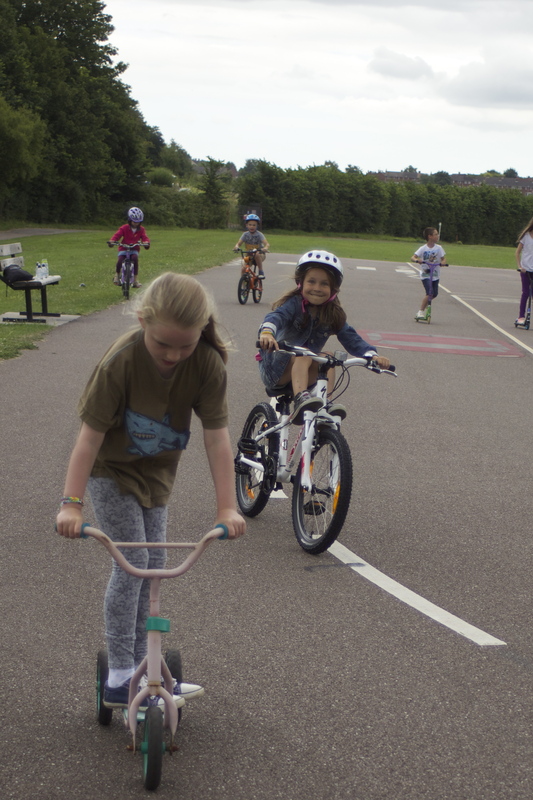 Cookie-disaster aside, Mook’s Bicycle and Scooter Party was fantastic – the kids loved it, the parents loved and we loved it. I think it probably shows that with a little bit of creativity, the simplest ideas can be the most enduring.